With roots reaching back to 1905, Sam Saidian, founded by fourth generation jeweler Samuel Saidian, is a natural extension of a family's involvement with jewelry, gemstones and objects of art. The company's origins start in Iran at the turn of the twentieth century, trading important gemstones to well-known retail stores. From there, Samuel Saidian's grandfather opened his first storefronts, while creating a personal collection of treasures at the same time. With the upheaval of the 1970s, the Saidian family continued their jewelry tradition, first in London, before quickly moving to New York. 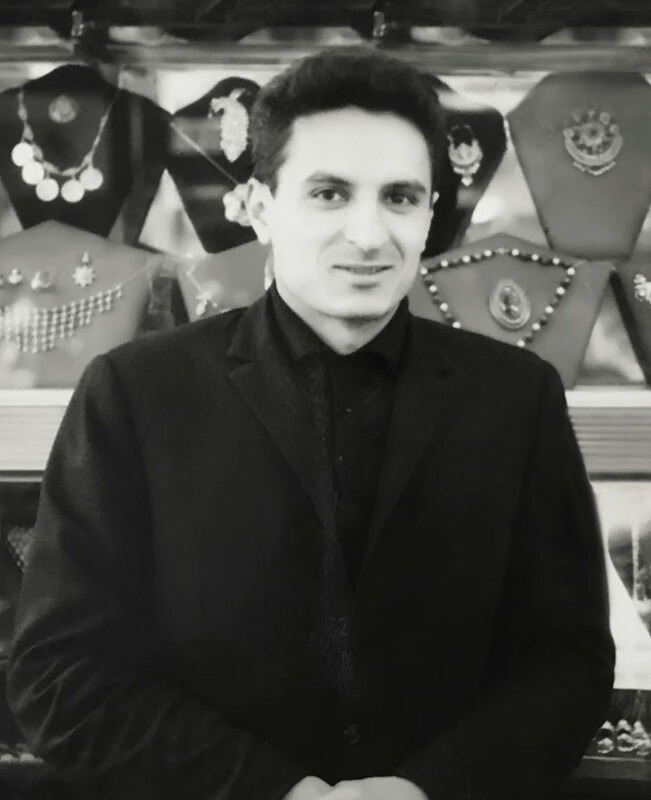 Now headquartered in legendary Rockefeller Plaza in the heart of New York City, Samuel Saidian continues this proud tradition as a leading purveyor of the finest examples of jewelry and gemstones to high-end retailers and discerning private collectors, locally as well as internationally. Sam Saidian is acknowledged as a prominent source and a connoisseur of rare vintage jewelry, gemstones and objects of virtue. Every piece offered through the company has been chosen for its outstanding quality, craftsmanship, with an eye on aesthetics, beauty and historical significance. As a small, boutique company we value the relationship with each individual customer above all. Each piece we handle comes with a guarantee of authenticity, as well as a personal commitment that extends far beyond the life of any transaction. We are always looking to purchase beautiful jewelry and objects of art.